Galaxy structural analysis: clues for their formation and evolution. This work is about the orbital structure in a galaxy and how the different orbits add up to reproduce the observables. 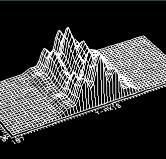 The wavelet transform is a way of representing some signal based on orthogonal funcions (the wavelets) which may represent the information on the signal (they form a base). The wavelet can be used to extract information from the signal at different scales, either time, space or wavelength scales for example. It can be used, for example, to study galaxy morphology (click on the image). It is also very suitable for removing noise in contaminated data and for selecting specific features in spectra. From the BTFI website: "The BTFI (Brazilian Tunable Filter Imager) is a highly versatile, new technology, optical imaging interferometer proposed to be built for the SOAR telescope, to be used both seeing-limited mode and high spatial resolution mode. Such an instrument opens up important new science capabilities for the Brazilian astronomical community from studies of nearby galaxies and the ISM to statistical cosmological investigations." 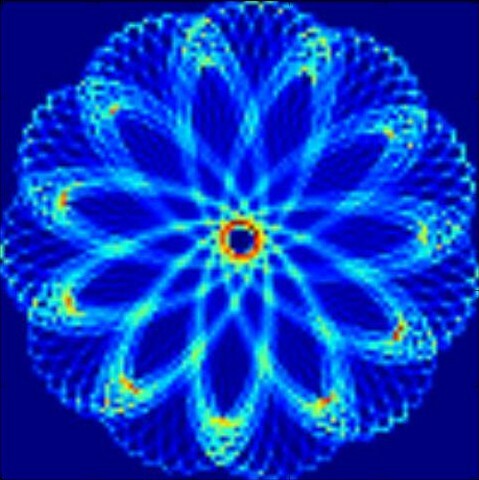 I am developing the instrument scientific software, and presently I coordinate the software group. If you are interested, this ButterFly status report describes briefly the development situation around Oct 2009. You can read a portuguese version of the software work in the BTFI software group: my work on the software group.. 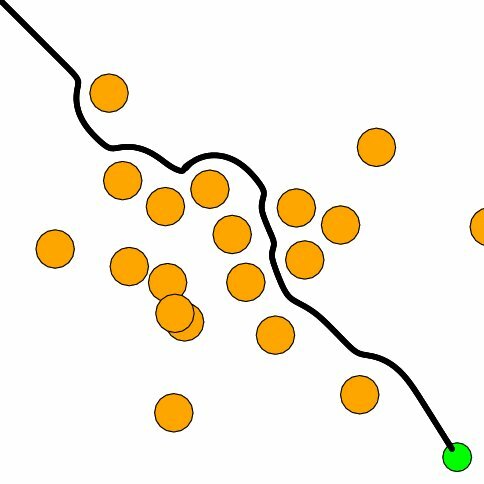 This research project uses a method of virtual potential fields to guide a autonomous vehicle toward a goal while avoiding obstacles in its path. I am adpting some potentials traditionally used in astrophysics (see Galactic Dynamics below, for example) for guiding robots. The picture besides show an example of simulation (click to enlarge). Lecture on Path Planning Methods presented at IF-UFRGS and UniPampa in 2007. The aim of this research project is to project and develop a digital weather station. In fact, it is part of a whole instrumentation project to develop a variety of physical, chemical and biological sensors and methods to acquire their measures. The weather station will measure wind speed and direction, humidity, pressure and precipitation in the first generation. There are some student working with the mechanical part of the anemometer (July 2005) while I project and test the thermometer circuits and write the acquisition and processing software. At UniPampa, a group of researchers are joining to develop the instruments. 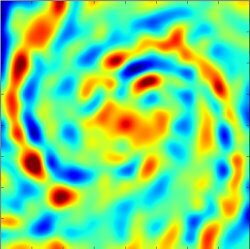 My postdoc research was to develop a simulation software to analyse the SOAR telescope Integral Field Unit Spectrograph data reduction software. In this way, before the IFU was build in fact, it was possible to test its theoretical possibilities as well as the difficulties in processing its data. Besides, the data reduction routines, developed by Ant�nio Kanaan, at UFSC, could be improved to match high standards before processing real data. 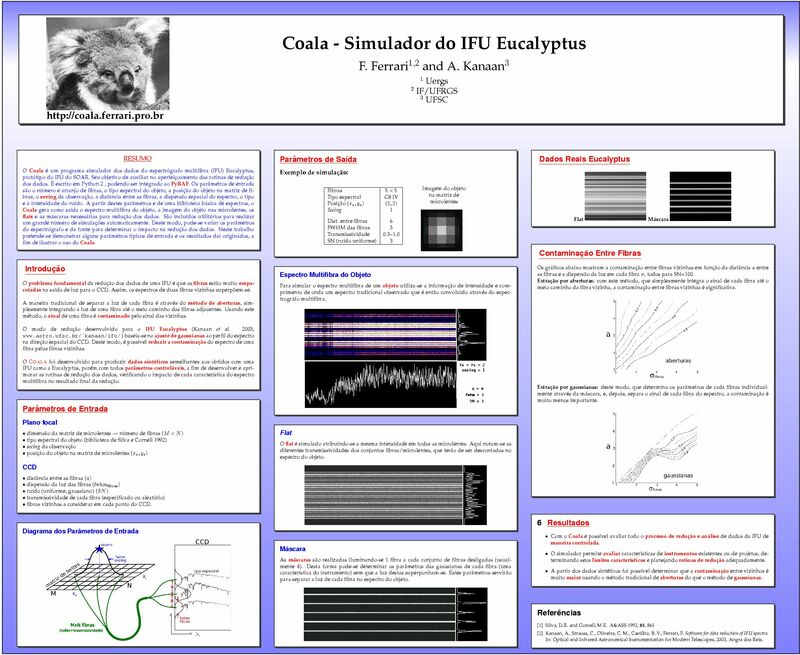 The first IFU prototype was named Eucalyptus, so the software is named Coala for feeding itself with it. The main subject of my PhD thesis was measure the medium infrared emission of early-type galaxies, as ellipticals and lenticulars. The data was collected by the ISO sattellite, an European Space Agency program. The data was pre-processed in the Service d'Astrophysique (SAp) in France and then finished in the Instituto de F�sica, UFRGS, Brasil. 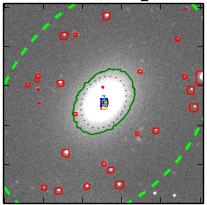 Early-type galaxies had not been observed with such details in infrared before. Before completing the PhD, one has to present a deep study about a subject not included in the thesis. I choosed to present mine about dynamics of spheroidal galactic systems, a theoretical branch of galaxy dynamics, very difficult to understand and not well developed because some theorems are difficult do test observationally. The result of my effort in understanding it is resumed in these pages. After graduating, I began to work with elliptical galaxies, with images acquired with the (then) new NTT European telescope at La Silla, Chile. The purpose was to investigate the dust content of early-type galaxies. Early-type galaxies are said to do not have dust, thus only with high quality data it was possible to measure the interestellar matter content of these galaxies.